On Tuesday the citizens of the United States of America went to the polls and cast their ballots for the President of the United States, reelecting Barack Obama to a second term. 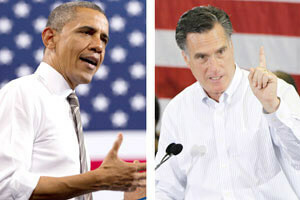 Now it should be noted that neither Barack Obama nor Mitt Romney are great champions for online poker legislation (Romney completely against it and Obama’s position being one of indifference at best) but the chances for federal online poker legislation could have been greatly impacted by down-ballot races for the Senate and House of Representatives. In this article I’ll try to make heads and tails of the results as we know them and what these results may mean for online poker in the US. Most of the main players that have pushed for online poker legislation of some sort were reelected on Tuesday including current PPA darling, Congressman Joe Barton (R-TX), as well as three Senators, Harry Reid (D-NV), Dean Heller (R-NV), and Robert Menendez (D-NJ). According to the Poker players Alliance (PPA), the group endorsed candidates in 54 House races, as well as two Senate races. Overall, PPA-backed candidates triumphed in 51 of the 54 House races and both PPA-backed Senate candidates (the aforementioned Menendez as well as democrat Chris Murphy of Connecticut) also won their bids for the upper house of Congress. The next step is for these men to start forming a coalition in the upper and lower house, and bringing more of their peers on board with either Barton’s online poker bill (introduced last year) or the Reid/Kyl bill that is being floated around the Senate. The good news is that several of the highest profile Tea Party republicans have been ousted, and the electorate seems to be moving back towards more moderate voices in most cases. One potential candidate could be Angus Young (I-ME) who won his senate race and seems to skirt the lines of both parties. Other new senators include Elizabeth Warren (MA), Mazie Hirono (D-HI), Joe Donnelly (D-IN), Deb Fischer (R-NE), Martin Heinrich (D-NM), Heidi Heitkamp (D-ND), Ted Cruz (R-TX), Tim Kaine )D-VA), and Tammy Baldwin (D-WI). There are still plenty of anti-gaming House and Senate members, with men like Spencer Bacchus (R-AL) in extremely important leadership roles, but the PPA and other pro-poker coalitions have started making major inroads in flipping some of these votes, most notably one of the architects of the UIGEA legislation Jon Kyl (R-AZ) who signed on to the Reid/Kyl bill which would legalize online poker but at the same time strengthen restrictions on all other forms of online gambling. Kyl will be retiring this January, with Republican Jeff Flake taking over his seat when the new Congress is sworn-in this January.